Pick up everything from a great book to an uber-chic dress and locally made chocolate. Though neighboring Georgetown may get most of the hype when it comes to the shopping scene in Washington, DC, the pretty run of Connecticut Avenue that comprises Dupont Circle has its fair share of cute boutiques and stylish shops, too. Here are some of our favorite places to browse. 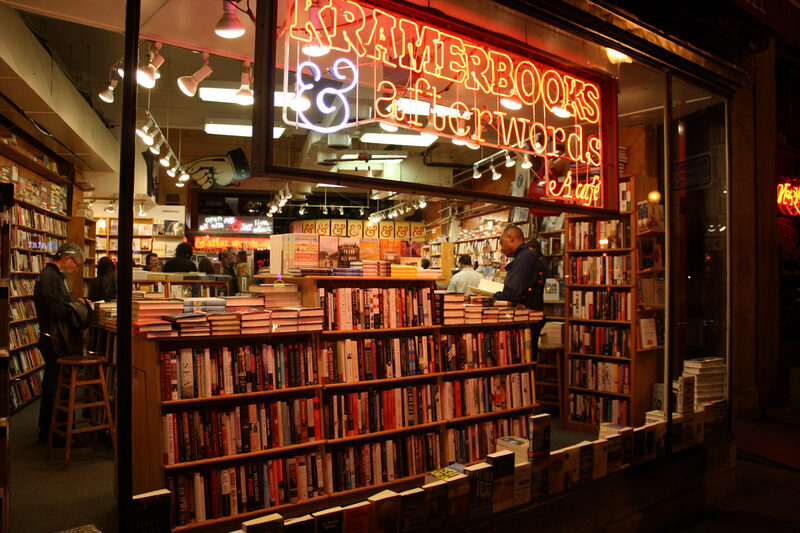 An indie book shop that has remained one of the city’s most beloved even in the age of Amazon, Kramerbooks has been holding court in Dupont since the mid-1970s. And this is why: stellar book curation fused with a community-driven approach and a knowledgeable staff, plus a cute late-night cafe perfect for snagging a bite with your nose in a new book. Aimed at stylish types who favor on-trend design and a contemporary point-of-view, EmporiumDNA highlights clothes, accessories and shoes from such fashionista-loved brands as Rebecca Minkoff and Alice + Olivia. 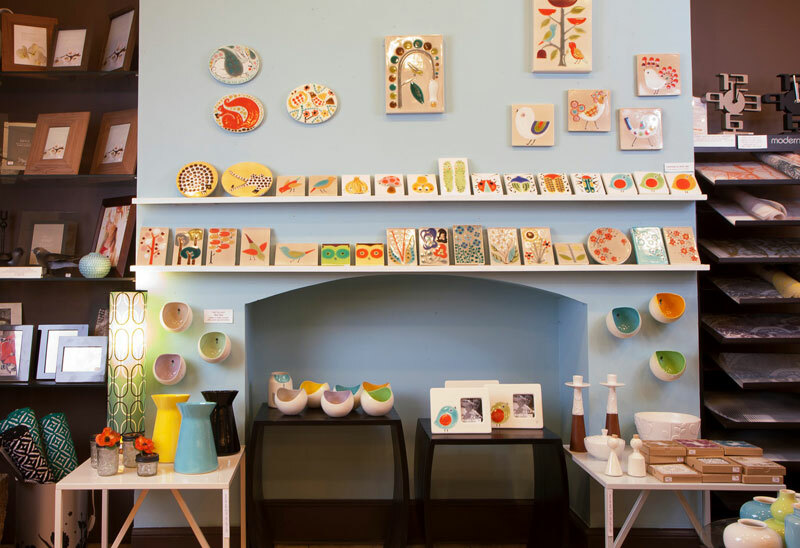 Tabletop is an eclectic boutique that can be your go-to for gifting with its varied selection of homewares and knick-knacks that all have one thing in common: a focus on good design, fun colors and affordability. This high-end national beauty chain got its start here in DC, and Dupont’s narrow shop features Bluemercury’s usual displays of potions and lotions from such niche and luxe brands as Diptyque, Trish McEvoy, Smith & Cult and R+Co. 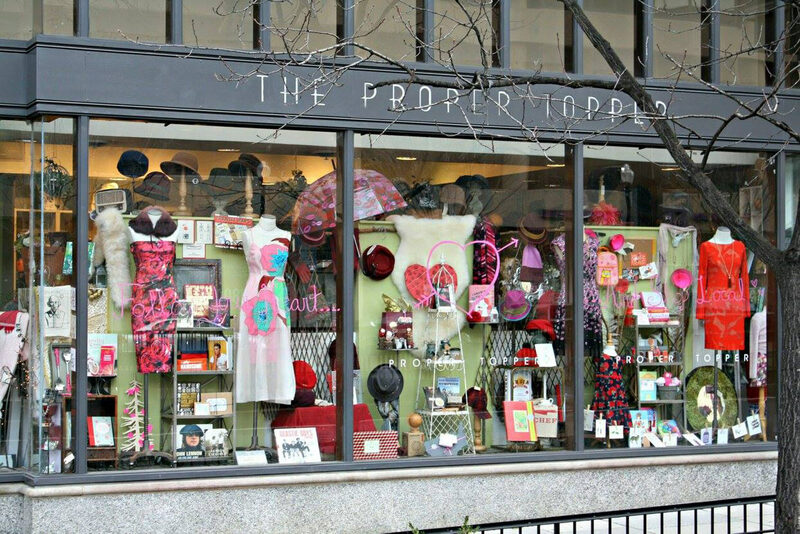 Though Proper Topper is technically a hat shop, we love the shoebox of a store for its quirky selection of home decor, books, jewelry, accessories and kids gear with an Anthropologie-esque vibe. This locally based chain of costume jewelry shops opened its first clothing boutique in the District in Dupont Circle. Stop in at lou lou to browse a trendy selection of affordable dresses and separates, then head down the block to the jewelry and accessory sister store for the finishing touch to your new ensemble. It’s easy to miss this second-hand consignment shop—the second-floor space sits above a Starbucks and its entrance is slightly north of the corner—but it’s worth finding. Secondi utilizes a well-organized and boutique-style approach to consignment that gets you designer clothes in immaculate condition (and sometimes even with original tags still attached) for way, way less than retail. Betsy Fisher caters to the professional woman with high-end taste, offering a sophisticated take on conservative styles from designers like Donna Degnan and Hilton Hollis. This beautifully appointed corner store showcases a high-quality take on the classic American suiting for which Brooks Brothers is famous. Ok, so this one might technically be a food shop. But even if you aren’t planning to grocery shop, Glen's Garden Market is worth a visit to browse their tempting selection of locally sourced small-batch foodstuffs that ranges from cider brewed in Virginia to artisanal chocolate crafted right in DC. 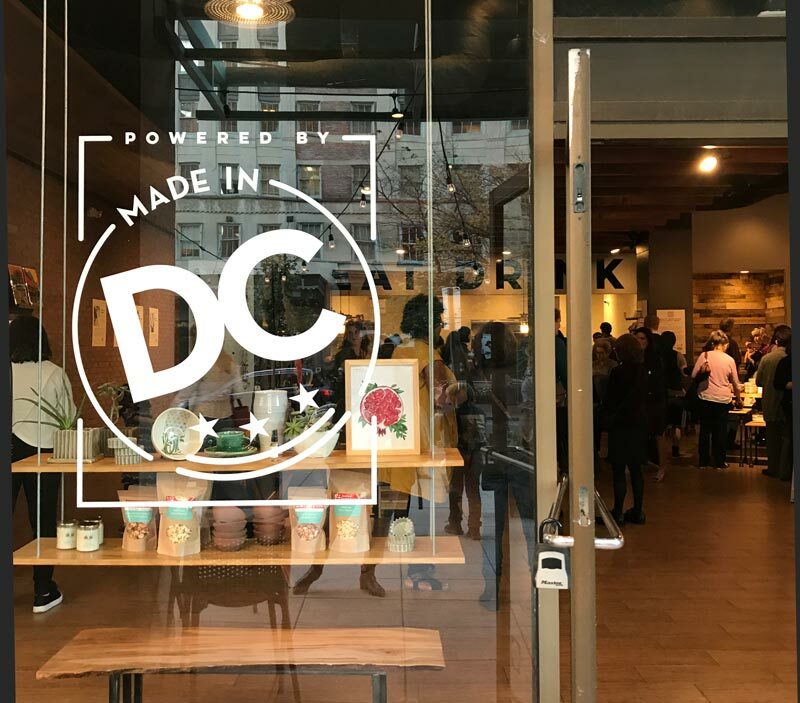 Shop Made in DC is a brick-and-mortar retail-cafe hybrid exclusively featuring products from Made in DC businesses. Everything you see in the store is produced by local artisans and makers right here in Washington, DC — products on the shelves will rotate seasonally — while each item on the cafe's menu is also made in the District, from Bullfrog Bagels' bialys and bagels to local beers, spirits and ciders. Taking your shopping spree to a new ‘hood? Don’t forget to peruse the rest of our shopping insight.